With headquarters in Morgan Hill, California, Specialized is synonymous with innovation, podium wins and quality, well regarded products. The brand represents all aspects of outdoor – road, mountain bike & serious recreational. The elite range within Specialized’s extensive lineup of equipment are seperately marketed and built under the S-Works branding, signifying exhaustive development, quality control of componentry and stringent build standards. Interesting things that set Specialized apart. Extremely strong brand representation, from website, across to product and quality standards of the Specialized Dealer network. Specialized factory riders are dominant across all the sports disciplines, boasting a large number of podium level teams in high profile events such as the Tour de France, NORBA World Cup Series, Triathlon events globally and Olympics level representation. Whilst exact figures are not known widely, Specialized’s Research & Development division, predomininantly based in California is acknowledged to be amongst the largest and most experienced anywhere in the world. A focus on frame and suspension technology covering weight reduction and durability are hallmarks, with a number of heavily marketed successes the result. FSR suspension, which is a variation the 4 Bar Horst Suspension linkage is heavily patented and offers an excellent balance of ride characteristics – I’m somewhat biased, cause I ride one! 2003 saw the introduction of the BRAIN Shock, which offers inertia activited suspension dampening in the rear suspension setup. This gives the characteristics of a hardtail but allows fully active suspension when required. 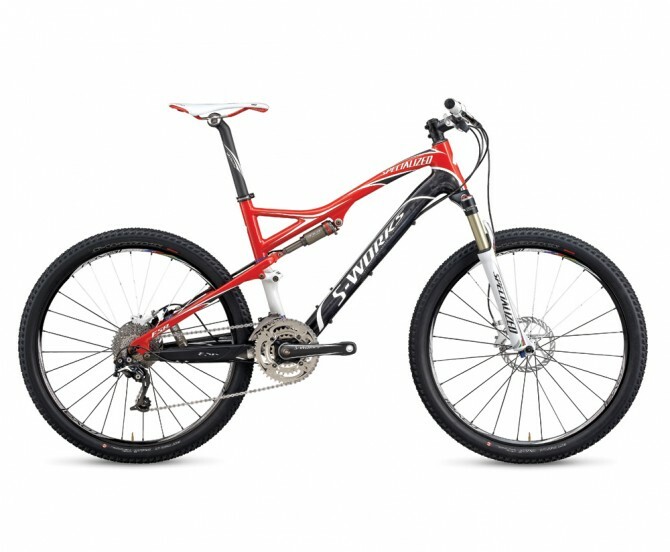 2008 saw the introduction of an entirely integrated bike system – The Enduro – rear shock, frame, front shock, bottom bracket. Website is one of the best out there – multi country selector is a pain the neck, but they have to do it to desseminate the correct product line up for each country. Once you are in there, the site is easy to use, although they could increase the font size for to assist readibility. Product flash demonstrations and walk throughs are amongst the best around. Navigating the product itself isnt’ too bad, although it takes a little bit of clicking around to find the appropriate link – its consistant across the site which is good. Product Images have an enlarged high resolution version, which is excellent. N.B. The author owns a Specialized Bike.